The Kudzu Files » Where Are You Guys? I usually have clouds of goldfinches, and house finches, and purple finches, all around my feeders in January and February. I’ve seen none this winter (the picture above was taken last winter). I’m concerned, and sad. I love sitting inside and watching them. C’mon, guys! Well, that is a pretty bird. I hope more show up soon. 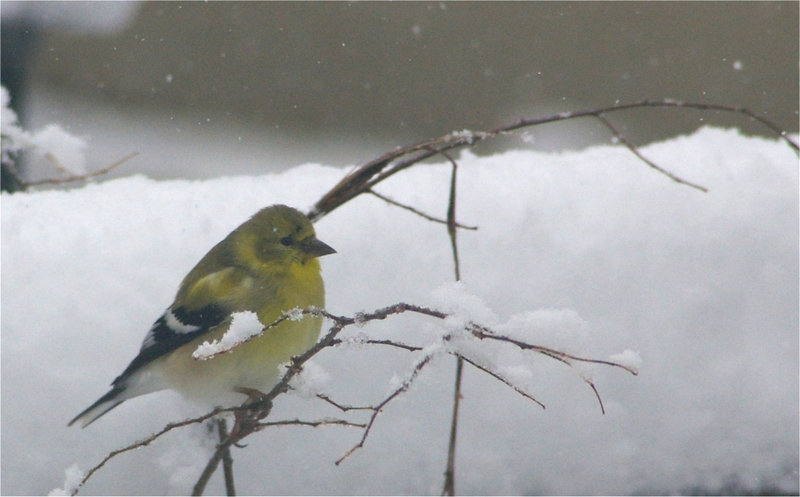 I never saw any finches this year. Maybe it was all the activity at the house, but the thistle feeders are just as full as when I filled them.